Far to the west, another story of European exploration and conquest unfolded. The exploration of North America's interior and Florida have related ties through the ill-fated expedition of 1528 under Pánfilo de Narváez, whose surviving men were shipwrecked on the various islands off the Texas coast. 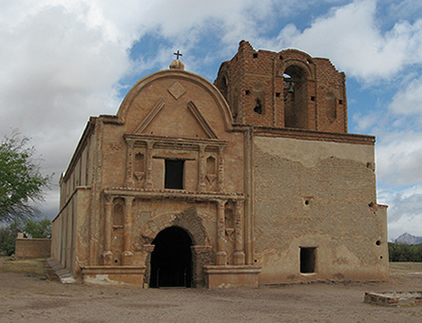 Eight years later, four men led by Cabeza de Vaca, who had wandered for several years through western Texas, southern New Mexico, and northern Chihuahua, reached Corazones, then the northernmost Spanish outpost in Sonora. Once rescued, they told of the many Indian tribes they had seen in their flight to safety. Although many later travelers paused at El Morro to drink from its waterhole and carve their names on the rock, others left not a trace. Over 2,000 inscriptions grace the sandstone promontory at El Morro. Over time, many travelers passed by the rock but did not sign it. 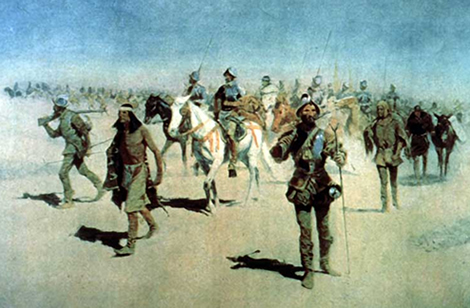 Among the first Spanish explorers believed to have stopped there were members of the Francisco Vázquez de Coronado expedition (1540-42). 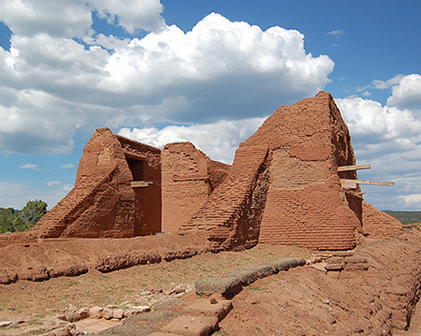 Later, Antonio de Espejo and his men stopped there in 1582 and were the first to describe it, calling the waterhole at El Morro, El Estanque del Peñol. 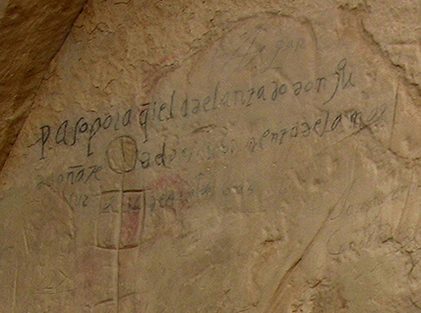 Espejo was one of the first to leave a written description of the volcanic terrain east of El Morro, today preserved as El Malpais National Monument.